Stephanie Seville is a part-time Heritage Assistant who looks after the collections of the Museum of Medicine and Health based in Stopford Building. She spends the rest of her working week as Art Curator at Blackburn Museum and Art Gallery. To begin with, can you tell us a bit more about the Museum of Medicine and Health – its history, purpose and the kind of objects that form part of its collection? The Museum of Medicine and Health is a collection of over 8,000 items of historic medical equipment, instruments and apparatus spanning over 300 years. 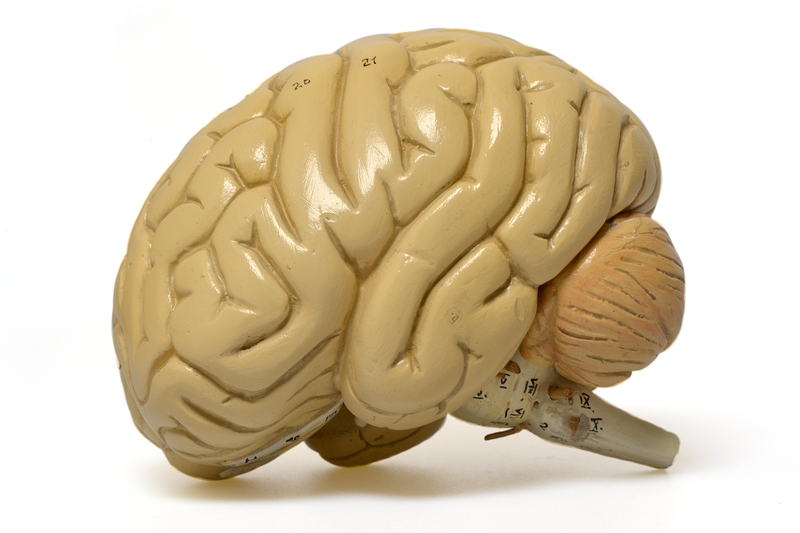 The collection represents a significant educational and cultural asset for the Faculty of Biology, Medicine and Health at the University of Manchester. The museum began as a collection of antique medical instruments that were kept in the office of George A.G. Mitchell, the Professor of Anatomy at the old Medical School on Coupland Street. The transfer of the Medical School to the new Stopford Building in 1972 was overseen by Dr F.B. Beswick, the Executive Dean, who decided that any equipment left, including Professor Mitchell’s collection, should be brought to the new building. These objects form the core collection, first catalogued and curated by Charlotte Beswick (the Executive Dean’s wife). This foundation collection proved to be of historic importance and included artefacts such as a Lister’s Carbolic Acid Spray for use in operating theatres (1870s); a rare endoscope (1865) designed by the Irish physician Francis Cruise; and a Laënnec stethoscope (1830s). The collection has grown in size over the last four decades. Today, through access and engagement, the Museum of Medicine and Health’s purpose is to support the University community; to enable, enhance and widen research, teaching, student experience and public engagement; and to inspire and inform. What does your role as a Heritage Assistant entail? As part-time Heritage Assistant it is my role to help facilitate the work of those wishing to gain access to collections for research, teaching and learning, and to promote their importance and relevance to the city’s heritage through public events, including Manchester Histories Festival and Manchester Day. I work with students, staff, academics and artists to give access to and help interpret objects in the collections integral to research, projects and inspiration. In addition to my role at the University of Manchester I am Art Curator at Blackburn Museum and Art Gallery. Both roles are very different but complement each other also. I am increasing my work with academics at Blackburn Museum, seeing the collections there as potential for further academic research. The majority of the objects remain in storage due to a shortage of suitable display space in Stopford Building. Can you share some examples of how the collections are used for research, teaching and public engagement? The collections are stored in the Stopford Building, and currently no permanent display space is allocated to the Museum of Medicine and Health. This encourages more creative thought about how the collection can be engaging for students, staff and the public. For example, over the last two years the museum has played a vital role in the teaching and learning of the students of the MA Art Gallery and Museum Studies in the Institute for Cultural Practices. This year, with additional Wellcome Trust funding, The Medicine Cabinet project allowed students to work directly with a large number of objects on loan from the collection. 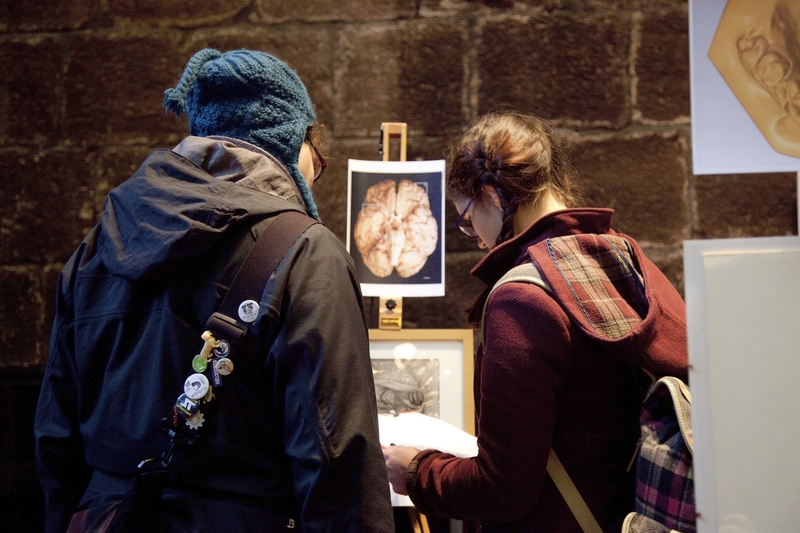 It resulted in a public exhibition at Chetham’s Library, a stand at the Manchester Histories Festival and a social media campaign. How do you see the interdisciplinary potential of the collection? There is interdisciplinary potential in the collection that is waiting to be explored further. Through the Inspiring Futures event we run each winter term for secondary school children from local areas, we aim to promote the various disciplines, specialisms and experiences that make up the advancement of medicine and health. For example, we worked with scientists from the School of Materials, who demonstrated the material properties of bone through a fun and interactive event for the 14 year-olds attending. And finally, which is your favourite object, or group of objects, in the collection? 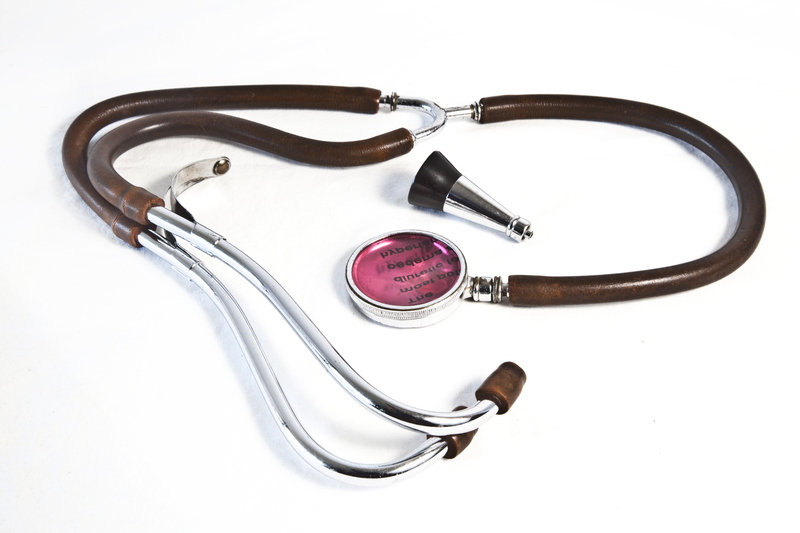 I am aware that the collection reflects the change in the use of materials in medical practice, and I think an interesting change occurred in stethoscopes from being monaural to binaural through the development of the uses of rubber, allowing this technological advancement.